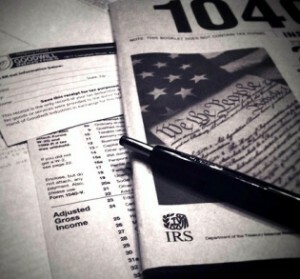 With many people filing their taxes now to get their refunds, con artists are eager to get their hands on your money. The IRS updates its site to include the latest tax scams and hoaxes. They are several, but I want to share two common ones that you should be aware of this tax season. One popular way thieves get their hands on your money is phishing scams. For those unfamiliar, these scams involve someone impersonating a company or agency, like the IRS and contacting you with the hopes of tricking you into giving them personal and financial information. Just know that the IRS does not ask for financial or personal information via email. The con artists can create very authentic looking emails and website, so please contact the IRS directly by phone at 1-800-829-1040 or search for your local office to get answers. If you receive an email from someone claiming to be from the IRS, DO NOT CLICK on any attachments. You may download a malicious virus onto your computer. You can forward the suspicious email to phishing@irs.gov. Another elaborate scam that the IRS is warning about is where people receive a phone call from a supposed IRS agent who is demanding an immediate payment on back taxes. Sometimes that masked their numbers and make it appear that the call is coming from the IRS, but it is a scam. Report the attempt to the Treasury Inspector General for Tax Administration at 800-366-4484. Please be aware the IRS only initiates taxpayer contact by mail and only accepts payment in check or bank transfer, traceable means. If the caller wants you to pay now with a debit or credit card, hang up. If you want to get more information, the IRS has a dedicated page on some of the more popular scams out there right now.